Finland is, by many accounts, known as having the world’s best education system, thanks to its no-homework, student-centric, interdisciplinary, life-skills teaching approach, and for its commitment to experiential and phenomena-based learning (more on this here, here and here). So when I was invited last year to work on a progressive initiative to design curriculum focusing on the Circular Economy, sustainability, and creative problem solving for Finnish high schools, I was extremely excited by the potential for this project to have far-reaching educational impacts. 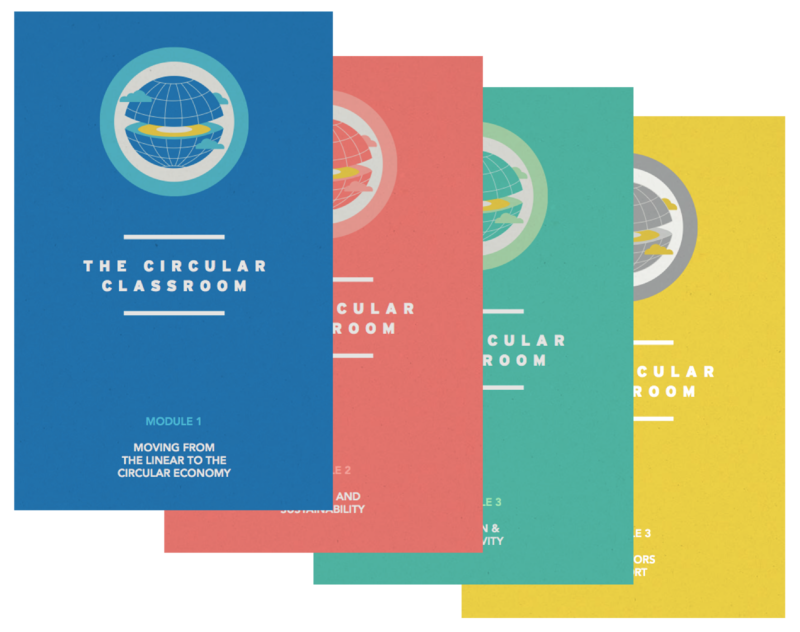 The Circular Classroom is a free, multilingual educational resource for students and teachers alike, designed to integrate circular thinking into high school and upper secondary classrooms in Finland, all packaged up in a fun, beautiful format. 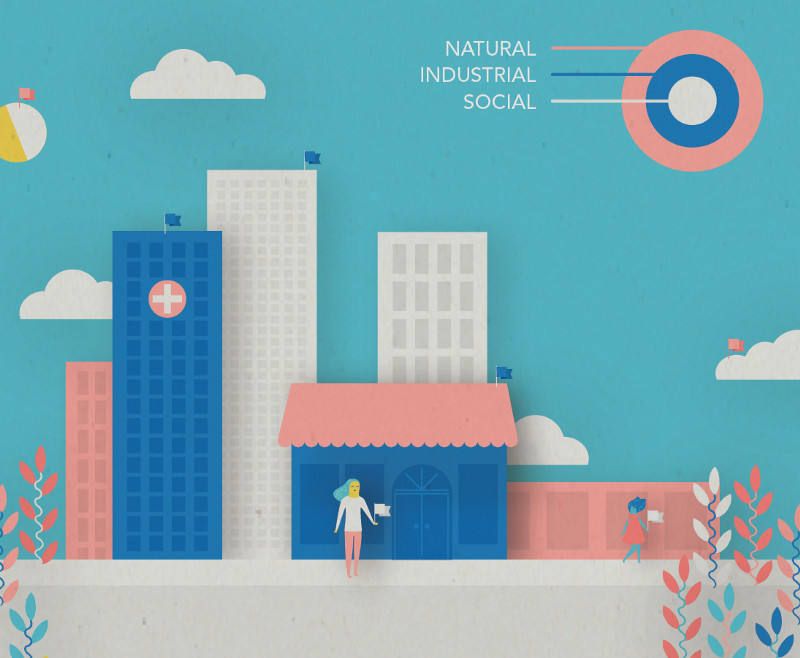 It offers the opportunity to think differently about how we design products, how the economy works, how we meet our needs as humans, and how to support the development of more creative professional roles that help to design a future that is about social, economic, and environmental benefits. In this article, I have summarized the project development and outcomes, including an overview of the content, the design methods employed, and the framing of the curriculum through experiential education. We have to give thanks to Co-founders Ltd who initiated this, invited me, and managed the project, and to the Walki Group, who graciously funded its development and was happy to respond to my demand of keeping it as a free resource. It is always so great to see private-sector investment in progressive education, especially when it's about designing for a better future! The intention behind this entire project is to support young people in recognizing the exciting opportunity that redesigning products, services, and systems have for the future; for exploring how their engagement with the world today impacts the future; and for supporting their decisions around future professions. It’s about making sure that they have the tools and agency to overcome the pessimistic worldview so often painted when global planetary issues are discussed. 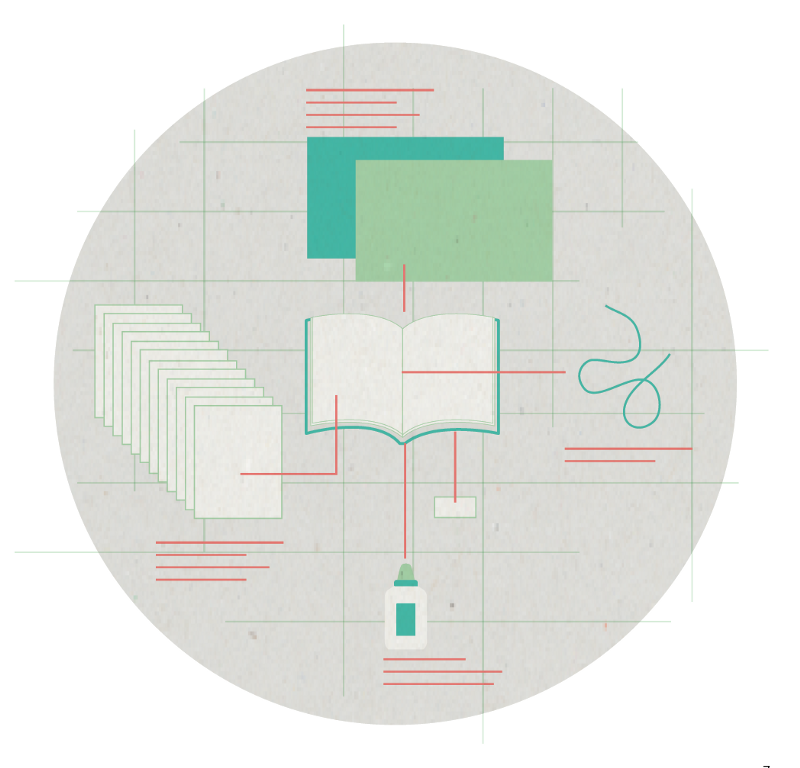 Furthermore, the resources support educators upskilling in this new and exciting (but immensely complex) arena of circular and sustainable activities. 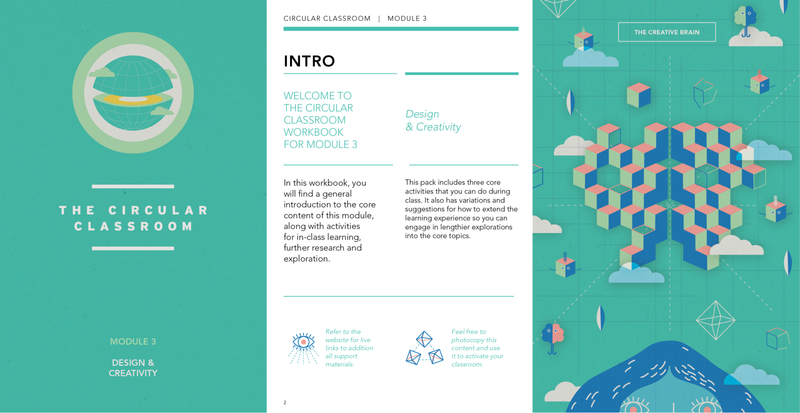 I designed the Circular Classroom curriculum materials through a co-creation process utilizing the Disruptive Design Method. The outcome of this process (described in more detail below) includes three main knowledge-building modules, with each consisting of a short introductory YouTube-style video to establish core concepts, an extensive workbook filled with knowledge-building content, and activities for collaborative, experiential, real-world learning in the classroom. Working with the very talented illustrator and designer, Emma Segal, we took great effort to create a visually beautiful and highly engaging design aesthetic and communication language for this project that would speak to the students. Her illustrations were designed to translate complex concepts into accessible and approachable visuals that help to reinforce and integrate the activities. Each of the 20+ in-class activities were created as an emergent outcome of engaging directly with students and teachers through a series of co-design workshops held in Finland. 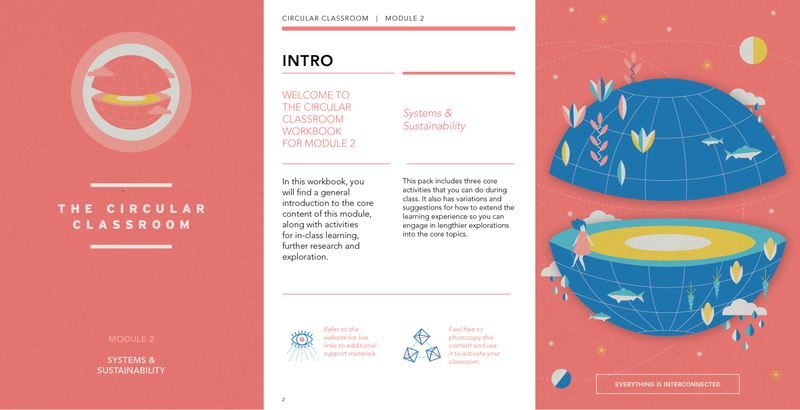 Additional to the three main in-class modules, we created a valuable Teachers’ Support Pack that includes details on how to integrate the content into the classroom, prompts for employing experiential learning activities into lesson planning (with a connection to the Finnish curriculum), and ideas for more complex conversations around circularity and sustainability. The outcomes of the co-design workshops included a focus on activating both educators and students, as well as supporting the participants’ collaborative development of new materials in the future. My goal is for teachers and students to work together to generate their own circular classroom content that will support other people learning circular thinking, too. The Finnish Curriculum already focuses on sustainability and on active citizenship, themes that we really worked on elevating through the activities and reflective elements of the modules. 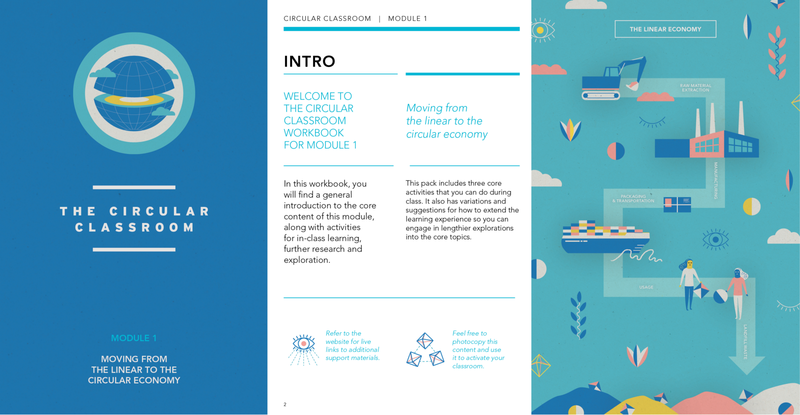 Each module contains three core classroom activities and a series of extra ideas for in-class or take-home enrichment to help get students excited and motivated about the incredible opportunities that the Circular Economy offers us all. Once these have started to be integrated into the learning environment, teachers are encouraged to develop their own collaborative circular classroom tools with colleagues and students and then share them with the world. 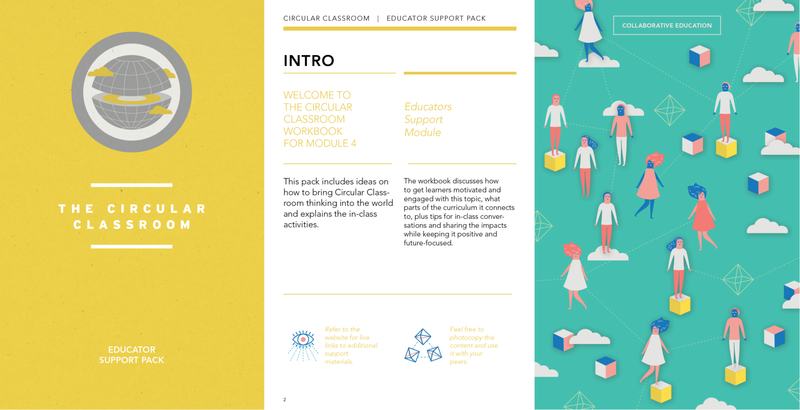 Each workbook is developed to help teachers integrate the main concepts of circular thinking into the classroom; no matter what subject area they are already teaching, the Circular Classroom activities are interconnected with collaboration and integration across subjects. From biology to math, language, and philosophy, the activities are universal and applicable to each learning objective in the curriculum. The first module focused on asking questions about the current linear economy and the possibility and potential of transitioning to a circular one where waste is designed out right from the start. The activities help the students explore what kinds of actions each person can take to help design a future that works better and what potential for solving complex problems a circular future holds. Watch the in-class video below to see the full framing of this topic area. The learning module activities teach life cycle thinking, learning how to identify natural systems in the world around us and making comparisons around everyday consumption products that we all buy and use. 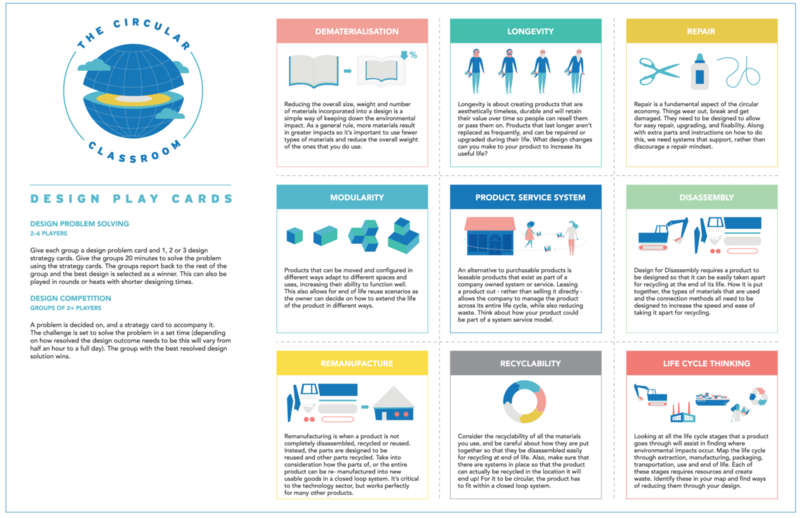 Circularity is presented in different levels of the ecological, industrial, and personal arenas, encouraging students to think locally and globally alike while learning about the role of activities in the economy and how supply chains work. 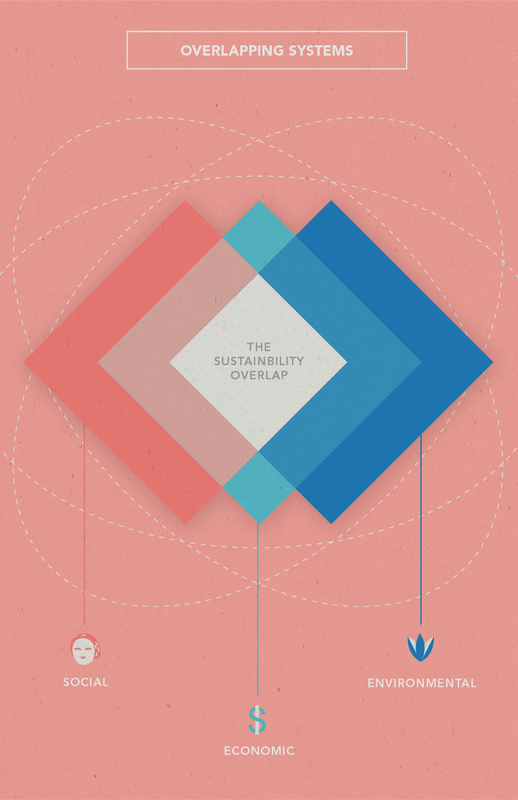 Module 2 is all about understanding how systems work in the world and what the concept of sustainability is really about. It challenges the students to learn how nature works as well as provides all the life-sustaining services that we all rely on. Through the activities into systems thinking, the students explore an everyday phenomena to discover the dynamic interconnected relationships that make it possible and uncover what key terms such as ‘biodegradable’ mean. Extra activities cover what bicycles are and how to calculate each person’s ecological footprint. The activities in this module support learning how individual actions have cumulative impacts, identifying how individual changes can add up to help achieve bigger sustainability wins, and how we can apply aspects of the circular economy to our personal lives. The video above explains the core concepts covered in this module. 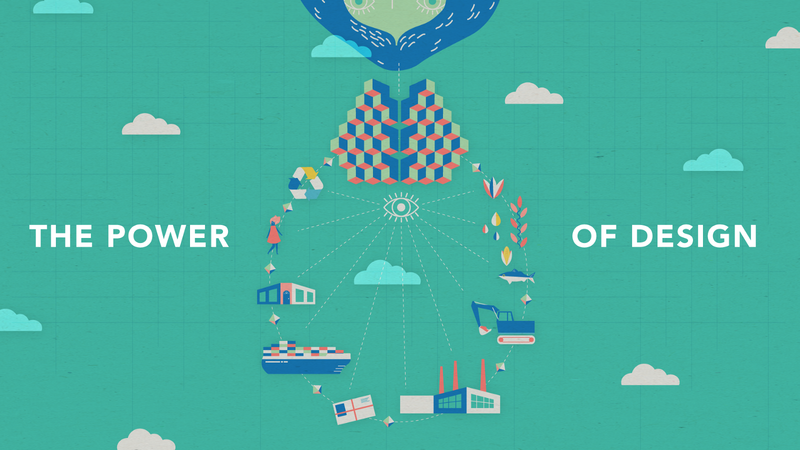 Design is a powerful social influence that impacts every day of our lives. It’s also an exciting profession that helps create many of the new industries we are seeing emerge. Creativity is a critical skill for the future, especially for addressing big complex problems like climate change and ocean plastic waste. So, this module is all about activating creative thinking and giving young people the tools to be agents of their own life and the future. The introductory video blow shows how I unpack what design is and how it affects all of us, why humans design the world to work for the status quo, and how it can be redesigned to make a positive difference and create circular solutions. 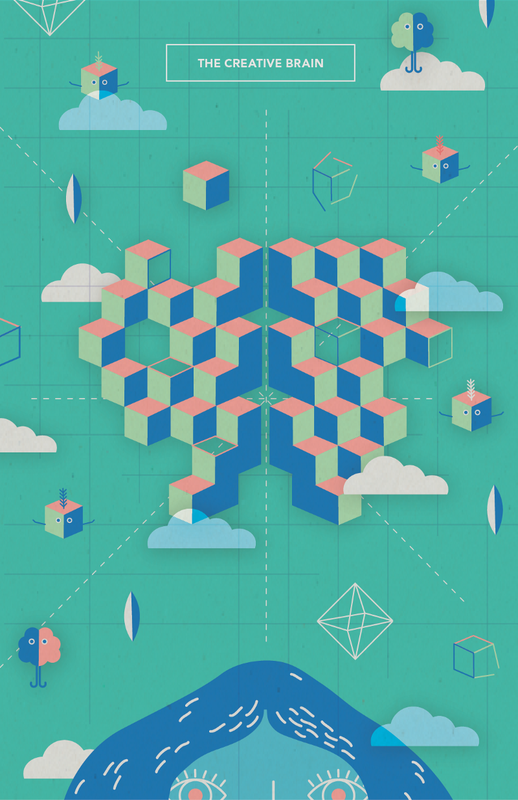 All the activities in this module focus on learning to apply creative thinking to complex problems and to discover the power of collaboration and positive outlooks in building a better future. 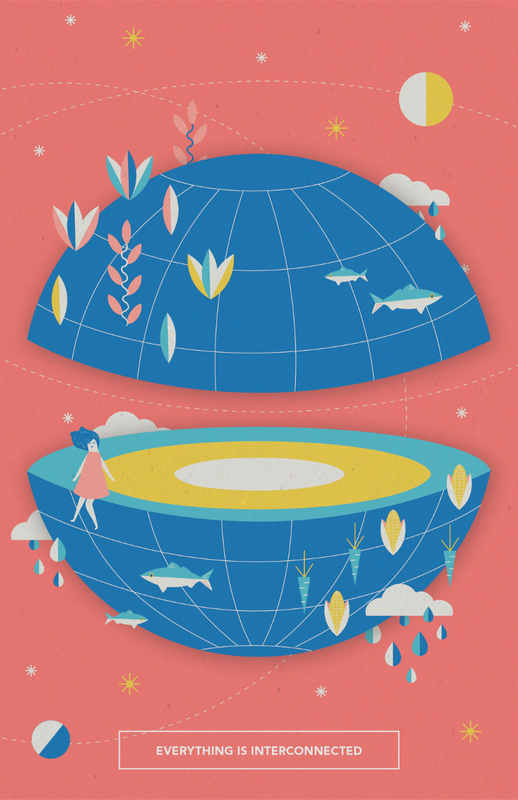 The Educator Support Pack is designed to rapidly transfer knowledge in the areas of the circular economy, systems thinking, and sustainability, along with support the educators’ lesson planning while providing connections to the Finnish curriculum. These types of support tools were requested by the educators through the co-design sessions, so we wanted to make sure that they felt supported and equipped to deliver the content in their own unique ways. The video below explains what is covered and shares a quick intro on how to use the materials in the Circular Classroom modules. 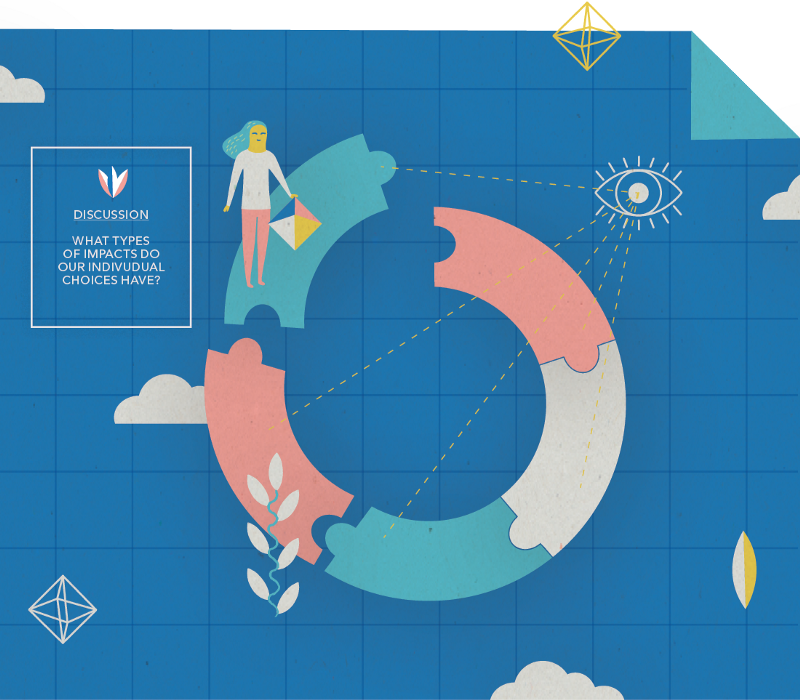 Why the focus on Circular Thinking and Creativity? 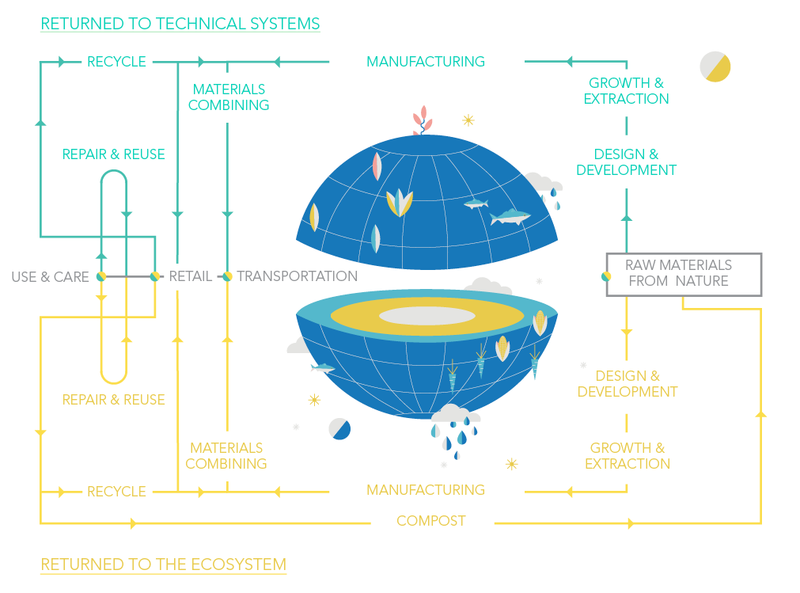 The Circular Economy is a growing movement to redesign our global economy from a linear state of unsustainable extraction to a more sustainable and regenerative circular model, where goods and services are designed within beautiful systems that maintain the value of materials and resources over longer periods of time. In breaking these more abstract and complex subjects down, I created the content for these three modules so that the students can go from the big picture through to their individual actions. This empowers agency and supports identity around the themes to also show that there is an exciting opportunity in engaging with redesigning the problems. I sought to find ways of genuinely relating it to the creative and curious minds of young adults and shared examples of everyday things to help trigger relationships between their own lives and the bigger world at play around them. The activities are all designed to further support ‘in-life’ learning outside of the classroom and to provide educators with a suite of resources so that they can design their own lesson plans. I developed the Disruptive Design Method as a scaffolding to support the development of international interventions into existing systems in respectful and game-changing ways. The three-part process of Mining, Landscaping, and Building supports creative changemakers in deeply understanding a problem or phenomenon before they attempt to solve it by diving deep under the obvious parts and seeking out all the experiential information they need to then put together a bird’s eye view of the opportunities, issues, and potential arena for change (which is the Landscaping phase). Then, from that, they can build creative interventions that respectfully challenge the status quo or contribute to bright spots that desire to be enhanced (the Building phase). In this case, the Mining phase was all about understanding what the current knowledge and commitment to the core topic area was, and then building on strengths and contributing new approaches. Ideas were micro-tested during the project development phase through design workshops that I facilitated with 40 Finnish students and teachers. Through this, I was able to prototype out several of the main activities I had developed as a result of the first round of workshops. During the Building phase, I also ran an ideation session with this mixed group of students and teachers, challenging them to co-create their own activities that would be relevant in the classroom. The students and teachers came up with many brilliant ideas, and several of them have been included as the extra activities in the workbooks, now live on the Circular Classroom website. I came to the conclusion early on in this project that the key thing is to give people agency around the content, and whilst I have a body of knowledge that I can share, this is just a seed. It’s a starting point to encourage and motivate many other people to generate educational content and initiatives on how they are embracing circular thinking and how they bring experiential and reflective thinking about our shared future on the planet into the classroom. 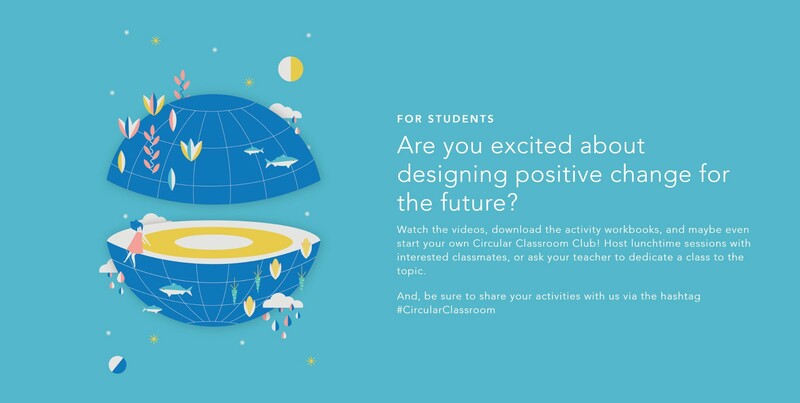 I want to encourage all educators and students to work together to create their own Circular Classroom content, and through that, to take action in helping to design a future that works better for all of us. Hopefully, this will help not just Finnish students, but young people around the world to see how they can contribute to a more sustainable, equitable, and effective future through the actions that they take today. The idea of experiential and phenomena-based learning is not new; educational protagonists like Paulo Freire and more recently, Sir Ken Robinson, have been loudly challenging for critical changes to the educational format for decades. The work of Kolb and other educational theorists have provided many new insights into the learning mind, and it’s a surprise we have not seen a full redesign of how we, as a society, educate our young and prepare them for adult life. This is why the Finnish system is so exciting — they are willing to challenge the dominant mode of teaching and bring experiential education to the forefront. Furthermore, teachers are urged to use their initiative to figure out what each student needs to succeed.